21 Savage was arrested yesterday by United States Immigration officers (ICE) following claims the rapper is actually and illegal immigrant with a visa that expired in 2006. ICE said that the "a lot" rapper was actually born in the UK, meaning that he has falsified his public persona. 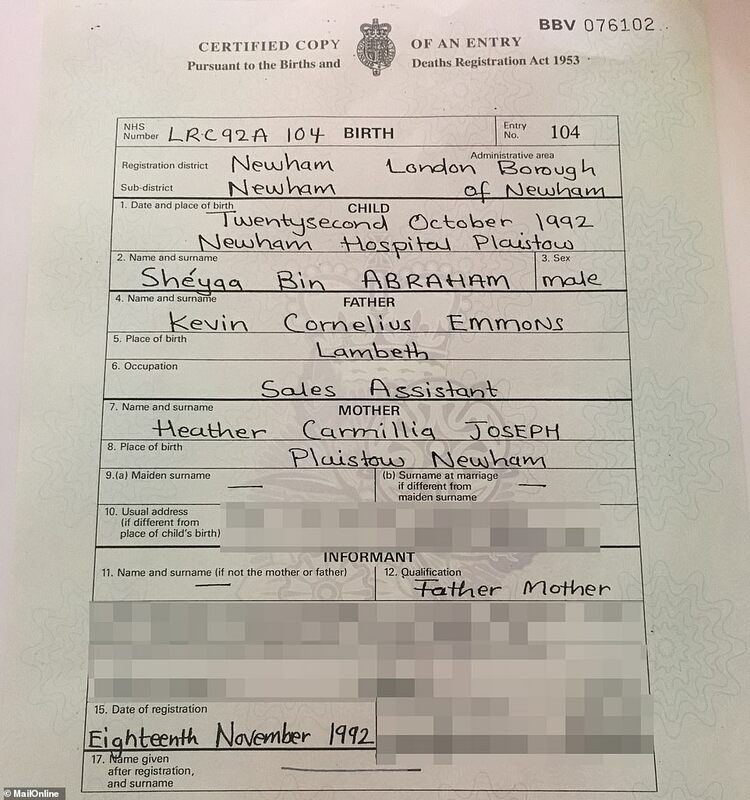 And now, The Daily Mail has published a photo of Savage's birth certificate, confirming that the rapper was born in the UK, more specifically, Newham Hospital in London. The UK publication then also confirmed that 21 lived in his native England for 12 years before moving to Atlanta with his mother. The report also stated that Savage has twin sisters still living at home in the UK, Kyra and Jayda, who both work as dance choreographers. The sisters allegedly see the arrest as "fishy," deleting photos of him off of their social media because they "don't want him to get deported." Earlier today, 21 Savage's lawyer spoke out about his client's arrest, saying that ICE is attempting to "unnecessarily punish him." He also claimed ICE is trying "to intimidate him into giving up his right to fight to remain in the United States." An online petition has already been launched by the co-founder of Black Lives Matter, Patriss Cullors, to try and prevent the rapper from being deported.